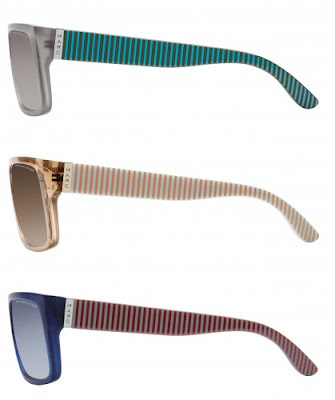 Ray Ban Sunglasses Online Review: Marc By Marc Jacobs We Love Stripes! Marc By Marc Jacobs We Love Stripes! Marc by Marc Jacobs presents a new collection of sunglasses with a glamorous spirit. These iconic 80s inspired frames have a truly modern appeal. This cult eyewear collection embodies the Marc by Marc Jacobs style, in new “must have” colours. The multi-coloured vertical stripes on the temples are the unmistakable decorative feature on this acetate model and provide a true vintage feel. (mod. MMJ 096/n/s).